Welcome to our website! You must have found your way here because you want to have a wedding that’s not bound by tradition and maybe even breaks all the rules. Good for you, the only limit is your imagination and we all know rules are made to be broken! So you want something fun, something full of energy, something unconventional and unforgettable that celebrates everything you and your partner love the most and gets your family and friends beaming from to ear to ear. 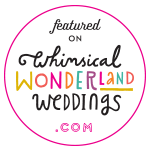 We totally understand that and are certain that if you’re looking for a wedding or ceremony that feels more like a festival, something rustic and charming or something fun and funky, something that’s utterly Mancunian and oozing with an industrial vibe – we can make it happen! Alternative Weddings Mcr have spent years getting to know the lay of the land and have been putting on weddings, art exhibitions, theatre shows and events for many years. We’ve built an incredible network of creatives, grafters, organisers and handy-guys and gals who can turn your dreams into reality. Offering bespoke floral designs and venue dressing services, as well as furniture hire and event management packages, we have the practical knowledge to tick all the boxes and make sure nothing gets missed in the planning stages. We will give you options and source a range of quotes from Manchester’s best suppliers, working alongside you to make sure you feel supported and your timeline manageable. We have a proven track record of delivering incredible events within tight timelines for pleasing budgets and we don’t believe a wedding should cost the earth. We believe in hands on creative ideas that ooze love and personality and make the task of planning a wedding enjoyable from start to finish! We offer different wedding planner packages depending on your specifics and how much support you’ll need. Some people need minimal support and ask us to step in “On The Day” and co-ordinate set-up and take-down, some need design support and our ongoing consultancy service throughout the planning stages. Others are keen to give us a budget and a theme and then hand over the reigns! Send us an email at altweddingsmcr@mail.com if you’d like to know more or to discuss prices, we look forward to hearing from you! My friend Jackie gave me your details. I’m planning to get unconventionally wed in Sept 2017 but don’t know where to start. Wondering what you offer….am I best emailing? Hey Sam. Thanks for getting in touch, please shoot an email over to altweddingsmcr@mail.com with the date, rough guest numbers and any ideas / preferences you have (if any, don’t worry if it’s very early days) and we’ll get back to you as soon as possible!